Previous Parts Manager experienced strongly preferred. Perform routine maintenance and inspections. Provide labor and time estimates for automotive repairs. Diagnose and repair all automotive vehicles. Previous experience as a Toyota Technician or related fields preferred. Customers are to be greeted in a timely and friendly manner. Prepare work orders with costs and estimates. Serve as liaison between Customers and Technicians. Prioritize required services to proper Technicians. Handle incoming appointment phone calls. Provide information about our services and hours. Document and update Customer records. Develop and maintain a knowledge base of our products and services. Recommended previous experience in customer service, sales, or other similar fields. 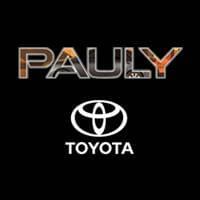 Send resumes to Russ Boelkow at russ@paulytoyota.com, click below, or you are welcome to apply in person.